Thomas & May has branches in Epsom and Merstham, so between us we cover a large proportion of Surrey. Our Epsom branch offers a sales and lettings service covering Epsom Downs, Ewell, Tadworth, Ashtead, Worcester Park, and Stoneleigh. Over at our Merstham branch, we’ve built up a sterling reputation both in Merstham, Reigate and Redhill. Perhaps our most valuable asset is that we’ve all lived locally for the majority of our lives. There isn’t a school we don’t know about or an area we don’t know the history on. Our local insight is what set us apart. We pride ourselves on our reputation and quite frankly, that’s what sets us apart. Our local knowledge is incredibly extensive, and we understand what makes a property sell, and more importantly, not sell. Our sales team appreciate the challenges of buying and selling in a competitive market; we’ve seen how changes in our economy impact on the property market and we can advise you on how to work with the property market, not against it. Our experience in property lettings is extensive and we’re experts at understanding the changes and legislations that surround the rental market. We have a reliable database of local partners to ensure our property management service is quite simply, first class. 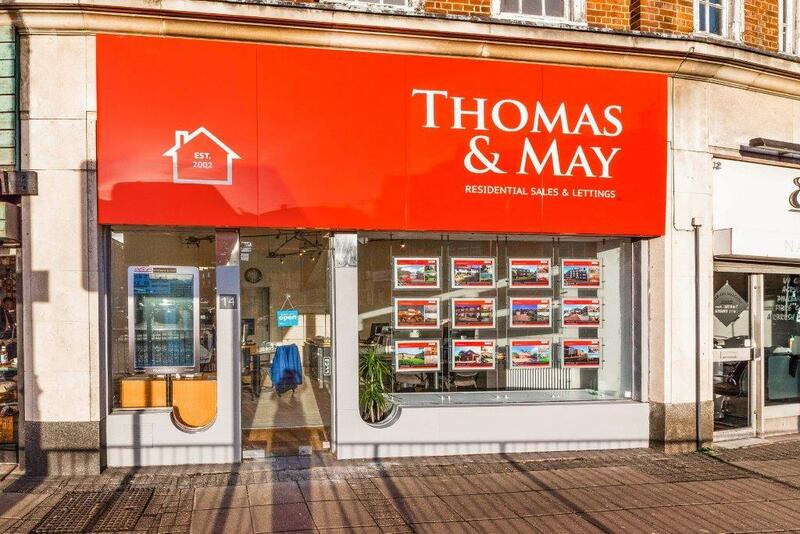 Whether you’re selling, renting, purchasing, have a property to rent or are looking at relocating to Surrey, Thomas & May are the perfect property partners. The market town of Epsom and its surrounding areas are widely regarded as the perfect place to live! Offering the ideal balance of Surrey countryside, great schools and still within a few miles of central London. With the incredible Epsom Downs racecourse, a major attraction for those wanting to escape the hustle and bustle of London, the Epsom area has become a haven for families wanting it all. With frequent trains into central London it’s no wonder Epsom & Ewell has been voted the best place to live in the UK by Channel 4 property experts Kirsty Allsop and Phil Spencer. They said the Borough 'has the best of all worlds with the lovely village of Ewell which complements Epsom's cosmopolitan feel that has many places for leisure and entertainment.